This tool helps you to get more opportunities to get properties from 3DPolylines, especially in road design. More and more engineers construct projects in 3D. 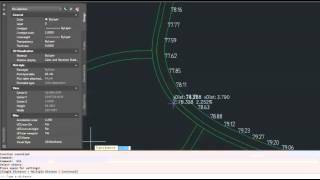 If you only use AutoCAD®, here you get more information about 3DPolylines and you can work better with them. One feature is to get heights (as text) on chosen points (or distance interval) on picked 3DPolyline and not only see vertices' heights in property space. By pressing space setup, you can print out heights, multiple - in distance interval, or single - type a distance and it create a texts with value vertices height.